Atlanta or Hidalgo? Actually, the “State Farm Arena” moniker remains on the Hidalgo (Texas) Arena facade until a new title sponsor is found, but the website, email addresses and social media platforms are changing now. 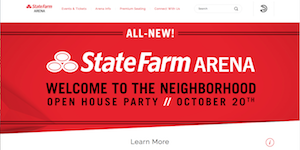 On Wednesday, the Atlanta Hawks announced they had signed State Farm Insurance to a 20-year, $175 million naming-rights agreement for their arena and launched its new website, StateFarmArena.com, to great fanfare. Meanwhile, at the “other” State Farm Arena in Hidalgo, Texas, the scramble to replace that name in just one day commenced. Eric Trevino, general manager of the Hidalgo venue for just two months, put a positive spin on it. He had 40 people working overtime to change everything except the name on the side of the building. The website and email addresses will become Hidalgo Arena. Social media platforms will be State Farm Hidalgo Arena. The name on the venue stays the same – State Farm Arena — as does the title deal with State Farm, which is in place through December 2019 or until Hidalgo Arena finds a new, preferably local, title deal. StateFarmArena.com on Wednesday suddenly belonged to an Atlanta venue rather than to one in Hidalgo, Texas. State Farm also has its name on a venue at the University of Illinois, but that building is known as State Farm Center. Trevino said the arena was notified a week ago that State Farm was about to do a deal with the NBA Atlanta Hawks' venue repurposing the State Farm Arena name, but “had to keep it a secret” per State Farm. He totally understood that the $350,000-a-year sponsorship in Hidalgo was of secondary concern to State Farm. “They are the Atlanta Hawks,” he said. State Farm employs about 7,000 people in Atlanta through a regional hub in the suburb of Dunwoody, and now its brand is closely aligned with a building that plays host to 200-plus event nights, including Hawks games, concerts and other special events. 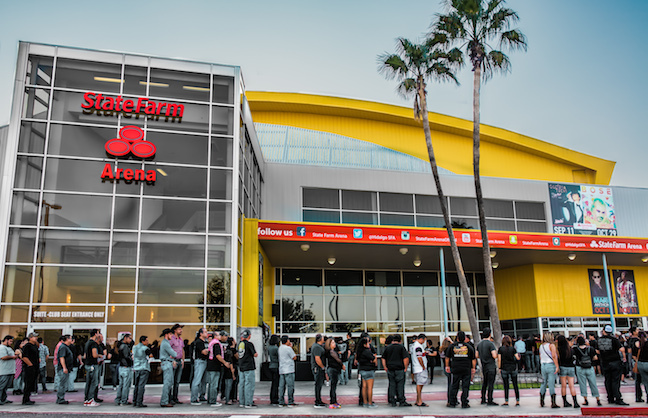 State Farm Arena reopens in late October after an 18-month, $193 million renovation. 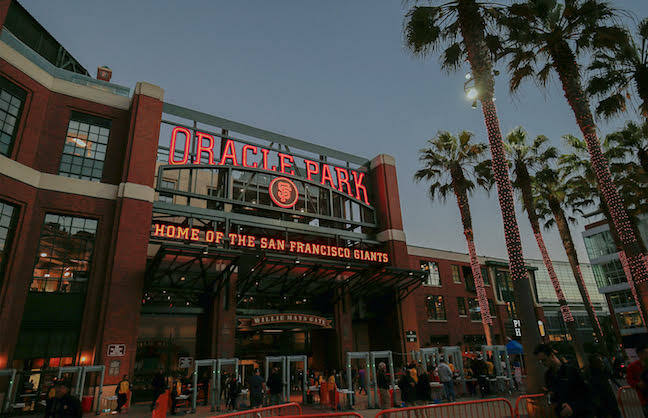 Van Wagner did not work on selling the naming rights, but it has been a consultant on premium seat sales linked to the renovations. Trevino agreed that naming rights are one of the most efficient local deals you can do and that rebranding is accelerated that way. In Hidalgo Arena’s case, the search is underway for a new sponsor, with Bert Garcia of GBL Ventures the consultant in charge. GBL also secured the naming rights for H-E-B Park in nearby Edinburg, Trevino said. Timing is actually great for Hidalgo Arena, which is celebrating its 15th anniversary Sept. 27, he added. Plans were already underway for a new logo and an anniversary celebration “when this popped up,” Trevino said. The arena has been State Farm Arena for 10 years. He’s certain someone local will want to showcase their company at the arena. The name changes were worked out over the past week between State Farm and Hidalgo Arena lawyers. State Farm owned the URL, Trevino said. Attempts to buy State Farm Hidalgo Arena were futile, as that name is already taken and not worth buying for the short term. As of late Wednesday afternoon, Ticketmaster had not been directed by Philips Arena to change its listing to State Farm Arena, though the local rep had gotten word of the pending name change Tuesday, Ticketmaster’s Geoff Carns said. When they do get official word to change the name, they will leave Philips Arena as a default search name, taking inquiries to “State Farm Arena, formerly known as Philips Arena” or State Farm Arena – Atlanta, Carns said. Meanwhile, State Farm Arena, Hidalgo, is also an option if searching for State Farm Arena. Most search by city, which will bring up the appropriate State Farm Arena, be it Georgia or Texas. Name changes are always different. Air Canada Centre announced its name was changing to Scotiabank Arena months before the July 1 change and months before website and email and social media and Ticketmaster changes took hold. State Farm and the Atlanta Hawks took a different approach, making a big splash with the new website on announcement day. “Atlanta has Drake and we don’t,” Trevino said, putting it into perspective. The next show at Hidalgo Arena is Yuridia on Sept. 1 and it’s almost sold out at the 7,000-seat venue. And actually, in just these few hours it’s taken to research this story, Ticketmaster has made a change, listing 21 shows for State Farm Arena, Hidalgo, Texas, and 59 for State Farm Arena, Atlanta. And that’s the Internet of Things.